It’s hard to believe that it’s now less than 200 days until the 2018 Commonwealth Games open on the Gold Coast. And it seems many people are using the school holidays to scope out the best places to stay. Gold Coast Tourism is expecting around 70,000 overnight visitors, and 250,000 day trips during these school holidays, the second biggest of the year. With temperatures ranging from 23C to 29C, the climate is a major drawcard. And so, too, are the Gold Coast’s many tourist attractions, including the new DC Rivals Hypercoaster at Movie World. As one of the Gold Coast’s most popular locations, Broadbeach holiday accommodation is filling up fast, and it’s easy to see why. Broadbeach apartments are so well placed to enjoy everything the region has to offer, with that touch of style and sophistication that is often missing from Surfers Paradise. The patrolled beach is a big lure for families, along with Kurrawa Park, a standout Broadbeach feature, that is home to many events, including the colourful Sunday markets. Another major plus when booking Broadbeach holiday accommodation is the easy access to the area’s huge waterway system. It’s a great safe place to try out your kayaking or stand up paddle boarding skills. While there are plenty of adrenalin fuelled water sports to try, many visitors choose the tranquillity of the waterways, where they can spot amazing flora and fauna. 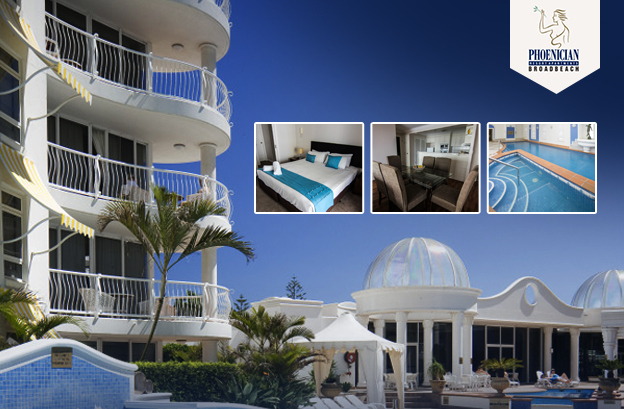 Broadbeach apartments have always offered a little something extra to Gold Coast holidaymakers. Perhaps because this was home to the area’s very first hotel, back in the 1950s. There’s just something about this lovely location that appeals to families and couples alike. Resort apartments are the most popular type of holiday accommodation here, with some great deals available online all year round. Spacious and luxurious, apartments offer all the freedom you need, along with fantastic facilities, including pools, spas, saunas, gyms, games rooms and more. Check it out for yourself soon!